One phone number, one address. 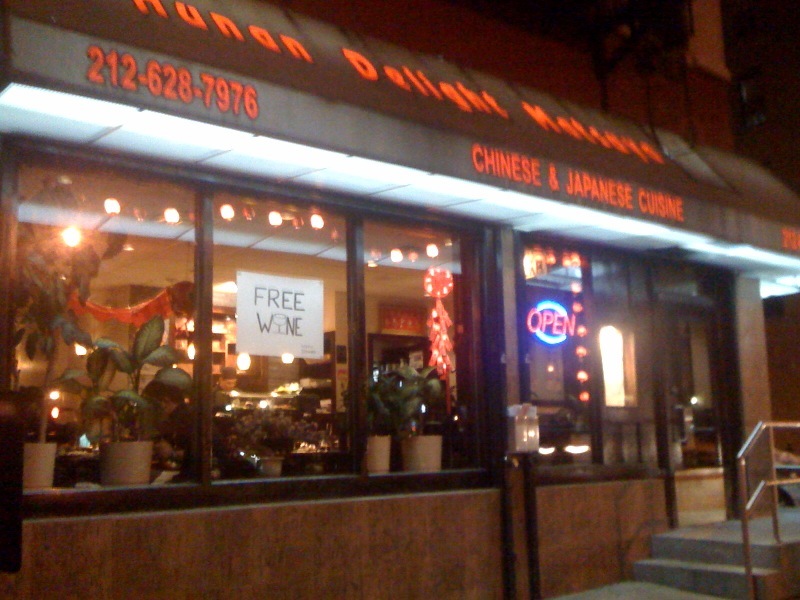 And then there’s the matter of the handwritten sign that reads “FREE WINE” in the window. What. I’ve been perplexed by this locals Upper East Side restaurant since I moved into the area. The take-away menus make certain that it’s two restaurants — Hunan Delight, a Chinese restaurant, and Matsua Japanese cuisine — in one space. How can two such disparate cuisines — different ingredients, techniques, cultural histories — cohabit? How can this possibly work? Well, except, it does. The food’s actually really good. 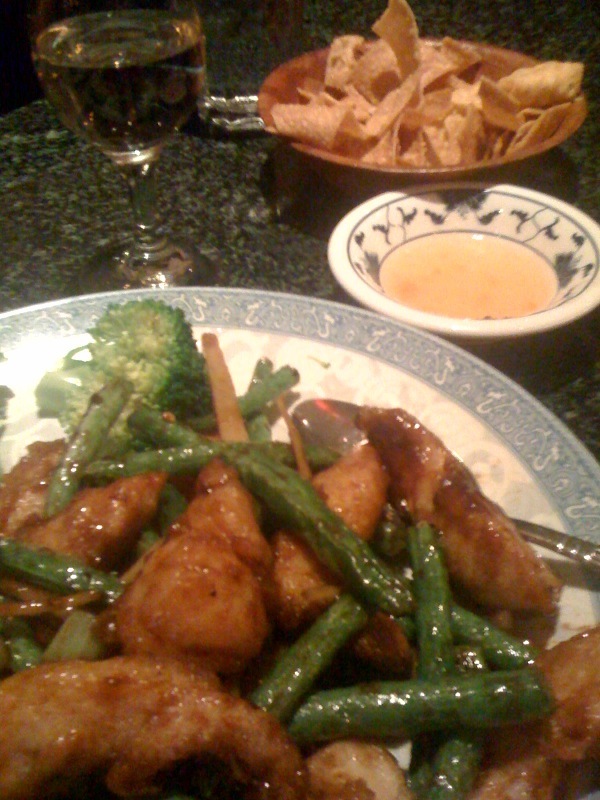 — One of my new favorite Chinese dishes, called Green Jade Chicken ($11.95). Plump white meat pieces woked over high heat in “chef’s spicy sauce” (not really that spicy) along with matchstick-sized pieces of fresh ginger and string beans. In the heat, the sauce caramelizes into a crisp, light glaze on the beans and chicken; the fresh ginger adds a welcome kick. This dish is the exact antithesis to the soggy, fatty, greasy Chinese food of styrofoam yore. It’s just lovely. — And the sushi? You can find far worse sushi in supermarkets everywhere. 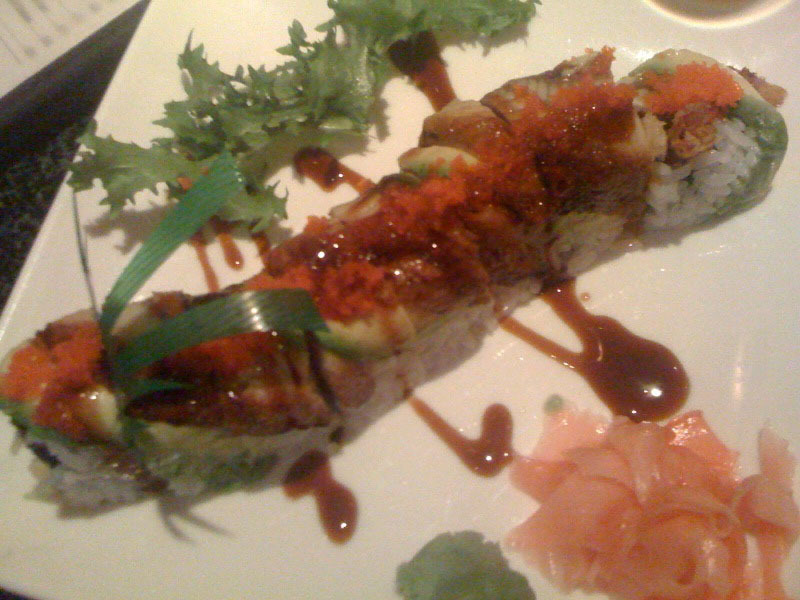 Entranced by the platter of Dragon Rolls the sushi chef was putting up on the counter (see below) … so we ordered one. It turned out to be a cooked roll (I still haven’t tried the raw sushi here) — shrimp tempura and cucumber on the inside, wrapped in eel and avocado on the outside. — Doting, attentive service, of the sort you only get at a restaurant where the proprietors are that hands on, that involved, with everything. There was a certain activity in the restaurant the night we were there, tables being reconfigured, the sushi chef turning out dragon rolls like nobody’s business, a party of young twenty-somethings turns up with a bottle of Johnny Walker. Turns out, on this particular night the restaurant was hosting a friends and family Chinese New Year feast of epic proportions after the restaurant closed (11p). Being the last guests in the restaurant, and obviously geeking out about the Chinese New Year food, they kindly invited us to join … we didn’t, and in hindsight, wish we did. The food looked A-mazing and it was of epic proportions. 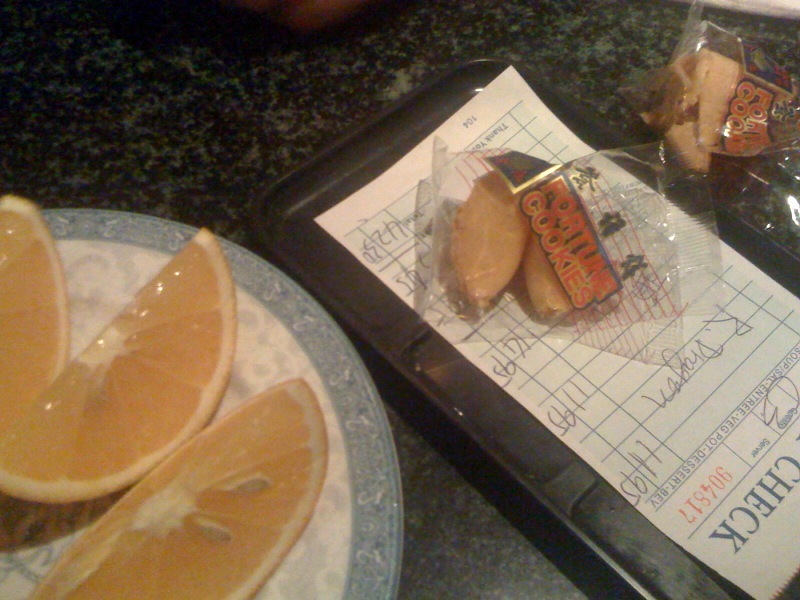 Still, this sit-down dinner for two totaled just $42.30 … also known in New York City as cheap. View all posts by Erin L.